To activate: Press the button on the handle. With each push of the button, change the light from a fast flash, to a slow flash, and then a still light. 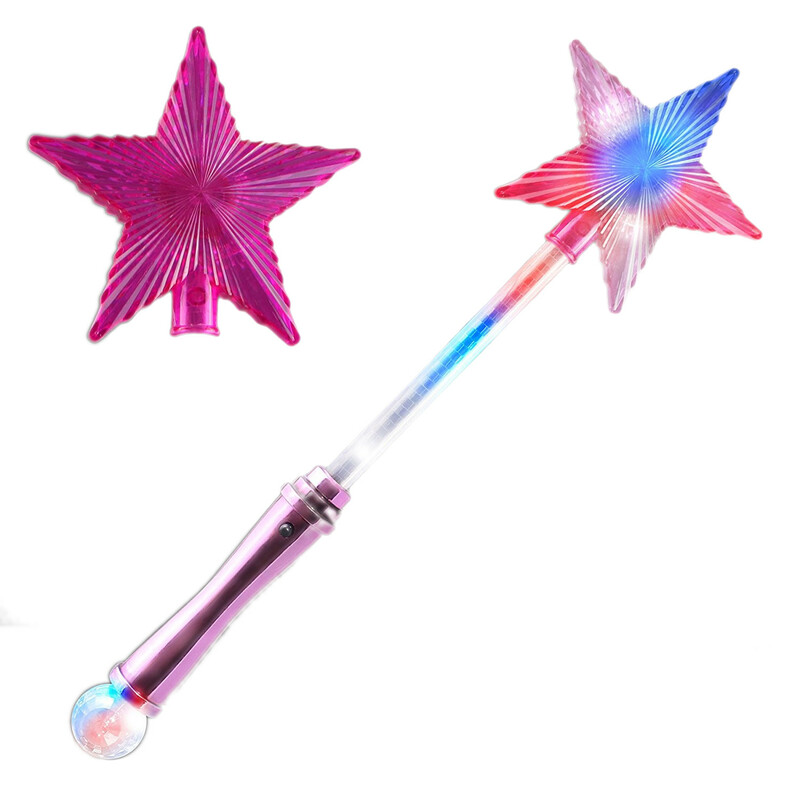 Dimensions: Length: 14 in. Width: .75 in. 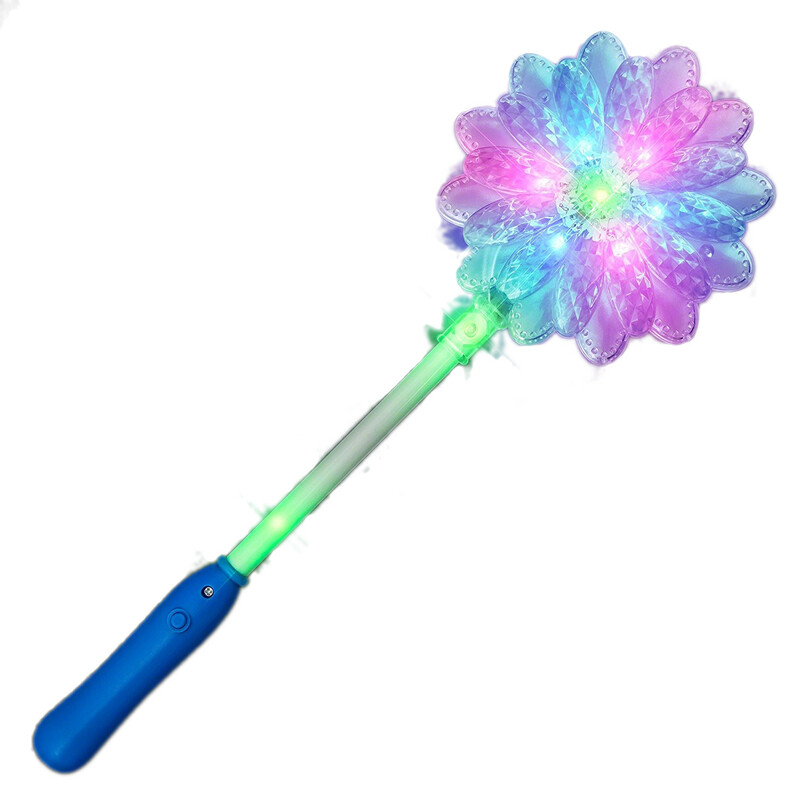 LED Colors: Green Flashing Stick Wands with Sparkle Fibers include 4 replaceable AG13 Batteries.